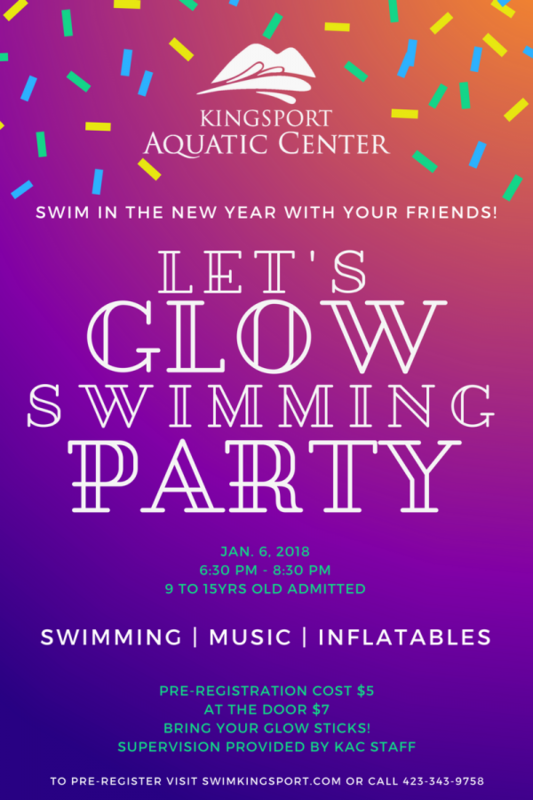 Get your glow on and swim in the New Year at the Kingsport Aquatic Center’s Let’s Glow Swimming Party. On Saturday, January 6th, the lights will be dimmed, and the indoor pools will be filled with glow sticks of all shapes and sizes. From 6:30 p.m. to 8:30 p.m., all 9 to 15 year olds are invited to party with their friends before heading back to school. There will be music, inflatables and swimming in the glow pools. Children are encouraged to bring their own glow sticks to the party. Pre-registration admission is $5, and admission at the door is $7. 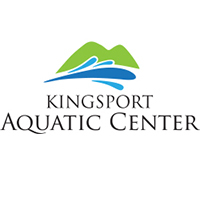 Supervision will be provided by the Kingsport Aquatic Center staff, and parents will need to sign a code of conduct/waiver form when they pre-register or when they pay at the door. For more information or to pre-register, please call 423-343-9758 or visit www.swimkingport.com.